A lot of things led up to February 7, 2012: many prayers, a lot of hope, stress, pre-planning, contests, and last minute scrambles. It was only because of God, and some awesome friends that I managed to go. It was only announced that David would be going to Singapore a week before it actually happened. 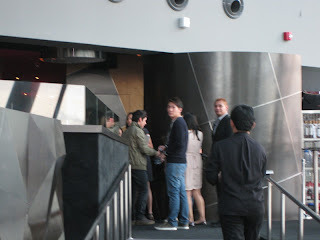 I came back from a road-trip the day David had the autograph session in Singapore, and went on a day-trip the next day. I needed to know whether or not I had the ticket then, and I still didn’t know during dinner. The reason it was so last-minute was because it was a private American Idol event hosted by StarHub, and the tickets literally could not be bought with money. I kept checking Twitter then suddenly, @Davidasg had two tickets to give away. I entered the contest, but was slow because of the internet. I realized later that it was God’s timing, and the internet started working just as the winners were announced. I screamed – my name was there! On the way home that night, there was a brilliant fireworks display, and it was like confirmation from God that this really was real – that in less than twelve hours, my parents and I would be on hour way to Singapore. Relief flooded me before the excitement, then anxiety, hit, because I would get to see him before he left for his mission. It was okay if I didn’t meet him. I just had to be there so that even if I couldn’t tell him, David would somehow know I was there, and always will support him. Our journey began at exactly 9:44PM, and even in the car, I was still trying to find out the details – what time to be there, and how to get to the venue, Avalon. I was so nervous I could hardly listen to music. I didn’t know how the venue would be like at all, and previous fan recounts of “standing concerts” had scared me a bit. We arrived at around 2PM – we didn’t get lost, thankfully – and got lunch from Newton Hawker Center, the same place David ate at! What’s more, I had chicken rice, the same as he did, without even intending for it to happen. We made for Avalon, and bumped into @FSteven, and the lovely @davidschickipoo (thank you for your help! 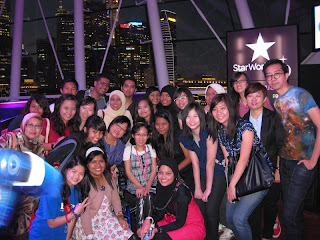 ♥) at Marina Bay. At Avalon, I met @junniecyh, @salamahafifi, and @weiyannn outside, then left for a short while. When I came back fifteen minutes later, it was 5:30PM. I looked out the harbor where David made his vlog earlier, though I didn’t know that at the time. We took some group photos outside of Avalon! Immediately after that, my mom and I had to go in. An awesome guy brought us in, the same way David used. I was sort of hoping we might bump into him on the way, haha. The venue was hands down the best I have been to. There were just sixty fans, and roughly forty invited guests, so it was a very controlled event. There was food, drinks, and booths for people to sit and wait (“does an angel contemplate my fate?”). There were no barriers at all, and all of us, myself included, were literally right in front of the stage and could touch it. The host, who did quite a good job, came in to get the crowd excited, then left. I kept looking back at the area I knew David would be coming from. My dad spotted David first, and said he was in green. I saw Kari, then caught sight of tousled hair, and knew right away that that was David. He walked onto the stage, escorted by Claudia, the girl who had won the lucky draw. @Weiyannn gave David a Pikachu, and he sang part of the theme song, “Gotta catch ‘em all, Pokemon!” It was adorable, hehe. The first song was Wait, and was so beautiful. Each of the songs were amazing, but this one was special because of its meaning. I couldn’t take my eyes off of him, and tried to soak it all in, committing everything to memory, from his voice to the turn of his head, and the way parts of his hair stuck out in a deliberately messy ‘do. During The Other Side of Down, he laughed before the “hah,” and I got the feeling he knew we liked that part… There was just something about it. There were many more moments like that throughout the night, with the connection between David and the fans strong. He kept laughing, and was so comfortable, which made the night all the more special. All through the show, I kept thinking about how much David had grown up, even since July 2011, when I had last seen him. He was bolder, and knew what he was doing. The moment that sealed it in for me was during Elevator, when he asked the fans the sing the “hi-i-i-igh” part. There were some people at the back – mostly professionals and the like – who weren’t the sing-along type. David roused them to sing not once, but twice, which was when I knew he had matured a lot as a performer. There were a lot of things David said, short sentences and comments, that made me think that he knows what we like from him, and not just that, but he knows what we expect and want him to sing, too. As he continued, I suddenly knew that I had to say something to him, somehow. I couldn’t go without making contact with him this time, especially since it would be a while since the next time. When it was over, I shouted his name, because I had a letter to give him. Larissa’s mom started to call for him too, then suddenly the girls around me did, too! I was really touched by that. David came over, and as he did, he asked, “How are you doin’?” He took my envelope, then shook my hand. “Good seeing you again!” he said, before he put my envelope on his keyboard. Pinkamech caught that on video! After Crush, My Kind of Perfect, then The Other Side of Down. During The Other Side of Down, he laughed before the “hah,” and I got the feeling he knew we liked that part… There was just something about it. There were many more moments like that throughout the night, with the connection between David and the fans strong. He kept laughing, and was so comfortable, which made the night all the more special. There was a Q&A session of sorts, and someone asked him what he ate. He said he had chicken rice (I shouted “so did I!” haha), and prawn (shrimp) noodles. The hostess asked for song suggestions, and someone said I’ll Be. His guitarist didn’t know the song, though, so David went with Good Place. My heart pounded. Was this really happening? Was I going to hear David sing Wait, and Good Place, in one night? He apologized in advance for any mistakes, then started to play it. Towards the middle, I wondered if he was going to sing Let It Be too, and he did! My mom was there, and I was so happy because she loves the song. David was supposed to leave then, so I shouted “one more song, wait, wait, wait, don’t go!” I don’t think he heard me though, but then everyone started singing it too. David laughed, and the hostess said that David had to go, and said, “We’ve already given you a lot more than we planned to,” in a nice way. David stopped though, and asked us what we wanted him to sing. He settled on My Hands, and again, I tried to remember every detail of his voice, and David himself. When it was over, he took a letter from a fan, then my letter. “Oh, don’t forget my Pikachu!” he said, going back to take it. That part was so adorable, haha. He came my way to leave the stage, and nearly tripped, which was scary, but the hostess caught him, and he was okay. He came over to shake my hand, longer this time. I told him he was amazing, which was what I wanted to say most. He said thank you, and asked if I enjoyed the show, then turned to my dad, who was right behind me, and shook his hand. My dad told him something, but he won’t tell me what it is, hmm… David shook my mom’s hand too, and she said he had a very firm grip, haha. David shaking my mom's hand. A certain lovely lady is on the right too. Picture from DavidArchuleta.com. Those moments were so special to me, especially because he didn’t just say hi to me, but my parents as well. My dad had driven up north a few days before, then all the way down, so it meant a lot to me that he got to see David too. David has grown a lot from the person I met for the first time in June 2009. He knows what he has to do now, and he’s not afraid to do it. He also knows where he stands. Most touchingly of all, he knows that we’re there for him. Even though he has changed so much over these few years, and will continue to do so, he will always be essentially David. After David left, I officially met Larissa’s mom, who is really awesome and sweet. We took another group photo, haha. 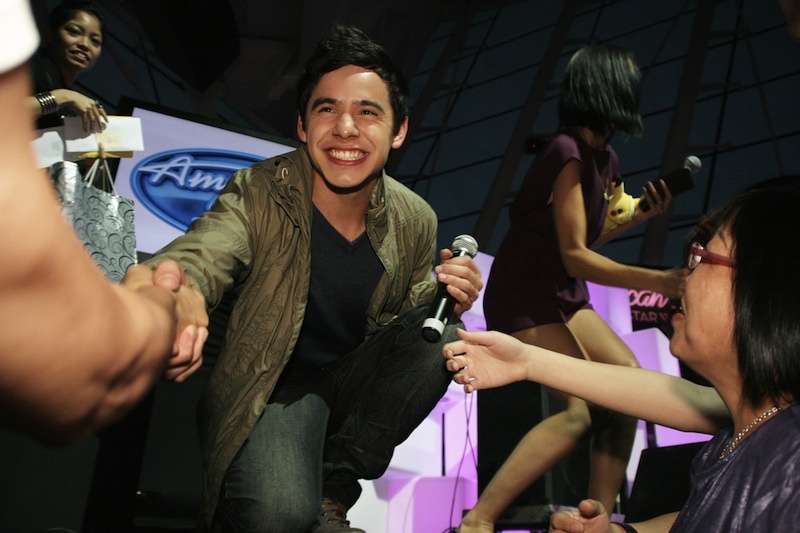 When David left, I was determined to say “see you soon!” so I shall say it again now, to the wonderful archies I met. ‘Til next time! It will happen! EDIT: I just uploaded My Hands! More videos will be coming, so watch out for them on my channel. Thanks to my mom for taking the videos!